Time for a Family Beach Home? Does that sound like you? Have you always dreamed of your very own beach home? Well, I have! And, guess what? Owning a beach house can be more than just summer enjoyment for your family – it can be an excellent investment decision. You know by now that I’m a real estate junkie! So, for fun – I’m always searching for second homes on the cheap! And, in my research, I’ve found that many beach homes could actually give me a pretty sweet ROI annually (even if I do use it personally a few months each year). In fact, last year, I found an amazing home on one of my favorite beaches in Florida where the mortgage, taxes, and insurance each year could be paid by the annual rental income! Yep, you got that right! So, my only out of pocket expense would be my down payment! And, heck… if I decided I wanted to sell out in 10 years, the appreciation and rental income alone would prove better than me playing the stock market! If you’re wondering, we didn’t buy that beach home. We were late to the punch- it sold before we could make a move! So, I’m still reading those sappy romance novels and hoping that I will have a beach home of my own one day. 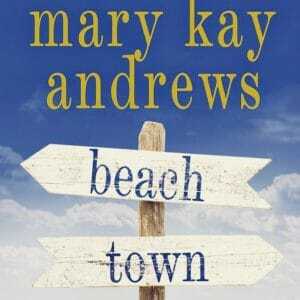 Hopefully, though, our beach home will prove to be a little less drama-filled than Mary Kay Andrews novels! If you’ve been thinking of buying a beach home of your very own, we can help! We have connections with real estate agents all across the country and would love nothing more than to make an introduction. ← Just Listed :: Updated Ranch in Brookhaven's Drew Valley!